Imagine yourself 10 years from now. It’s 2029, and the world of research has changed – dramatically for some of you. But how? Where will your research funding come from? Will your collaborators be academics or colleagues at a tech company? Will you use artificial intelligence to determine your research hypothesis – and will journals use AI to decide whether to accept your paper? Will that “paper” even look like the manuscript you’re used to submitting? If you’re a professor, will your students come to the university or study from afar? These are just a few of the questions the new Research Futures scenario-planning study delves into. 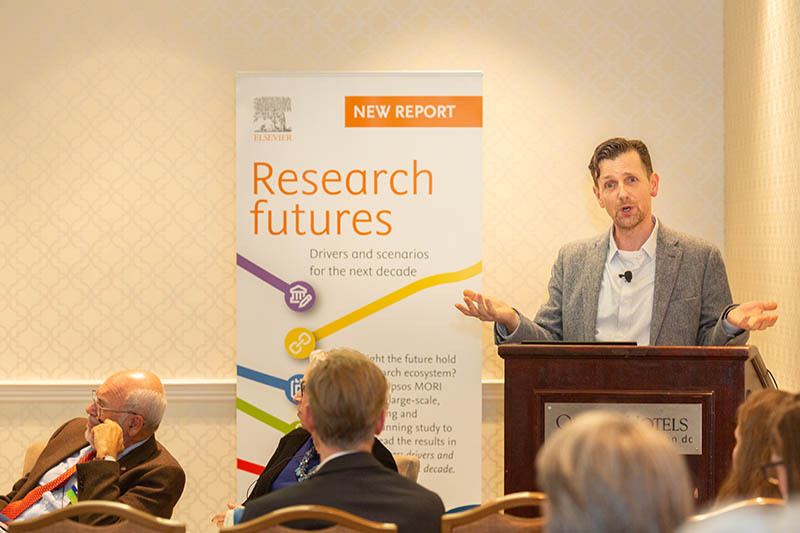 To forecast how research might be created and exchanged 10 years from now, investigators from Elsevier and Isos MORI examined the literature and market drivers, interviewed over 50 funders, futurists, publishers and technology experts and surveyed more than 2,000 researchers. Brave open world considers the rise of open science. Tech titans looks at the growing influence of technology. Eastern ascendance considers the role the East – and China in particular – might play. What scenario do you think is most likely? 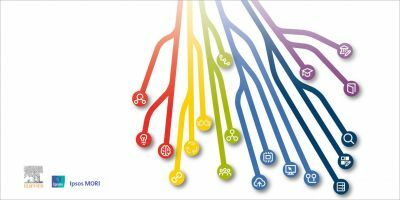 Elsevier colleagues initially conceived this project to gain insights into how they could collaborate with the research community to build a better information system supporting research. “We needed some information to inform our own decisions as an information analytics provider,” said Hannfried von Hindenburg, SVP of Global Communications, in introducing the panel. “But we felt we should make it public so that all of you could make your decisions based on this research. That conversation continued when the report was released at the Annual Meeting of the American Association for the Advancement of Science (AAAS) in Washington, DC. 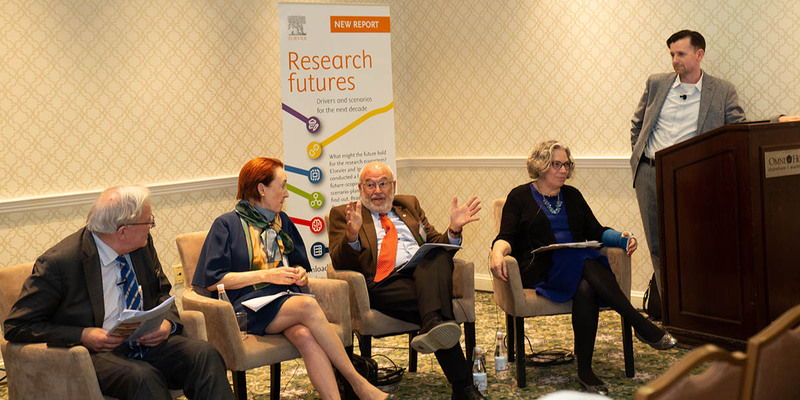 A panel of research leaders – along with researchers in the audience – weighed in on which scenarios seemed most likely. 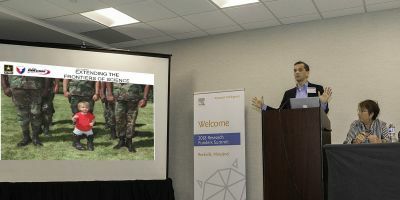 “Since we’re envisioning the future, there are no wrong answers,” said moderator Dr. Brad Fenwick, SVP of Global Strategic Alliances at Elsevier. 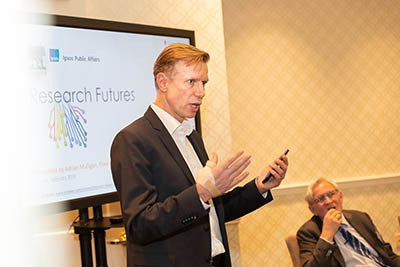 In his introduction to the report, lead investigator Adrian Mulligan, Director of Research for Customer Insights at Elsevier, summarized the key points – starting with the “three dimensions” the experts used to contemplate the future. Orange, meanwhile, represents the exchange of research and data and the degree to which it will be open or controlled, and gray represents whether organizations or nation states are aligned or fragmented. Each of these elements combines with the others in a distinct way in the three future scenarios. 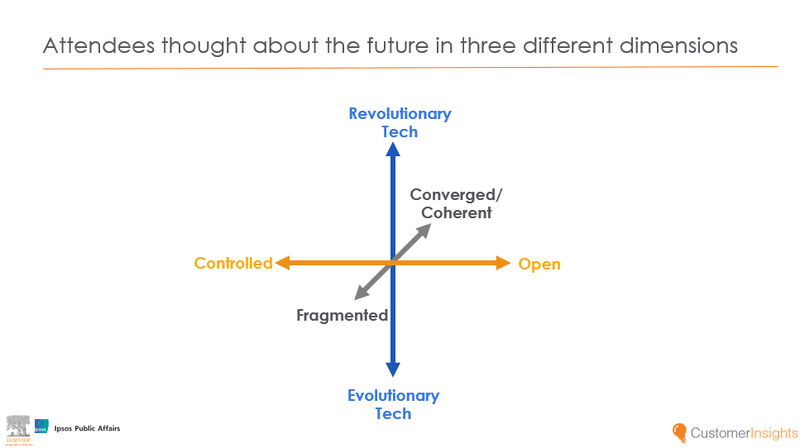 “Brave open world” is characterized by open sharing of research, revolutionary technology and more convergence among stakeholders, Mulligan explained. For example, big tech partners with funders and research institutes to develop interoperable machine learning tools and platforms. 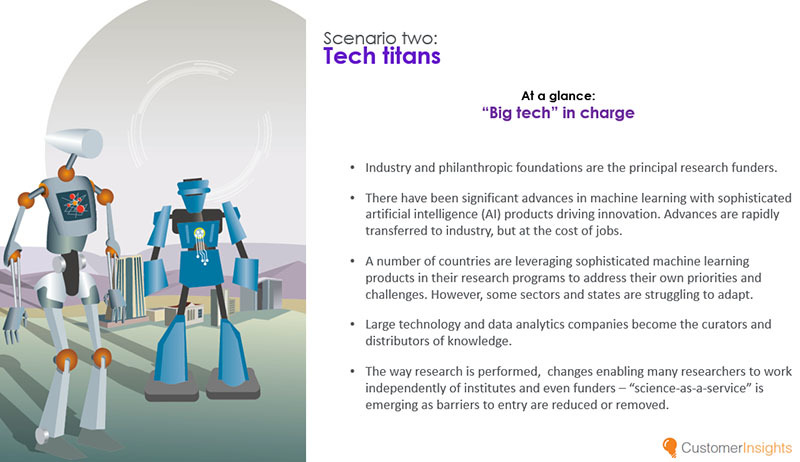 In addition, AI accelerates the speed and volume of research, and researchers are rewarded by a range of measures, including interdisciplinary collaboration, data dissemination and social impact. Trust in science has increased because the public has greater access to published science, and researchers are expected present their work in a way that’s understandable to the lay person. 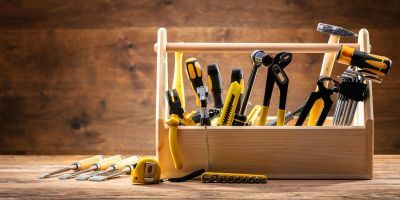 Much of research has become automated, driven by AI and data mining, and AI enables data-driven hypothesis generation – a practice we’re already experimenting with. Researchers often work closely with industry as independent consultants for large corporations. Data sharing and machine learning have supported successful commercial breakthroughs, and the platforms the tech companies create have lowered the cost of doing research. 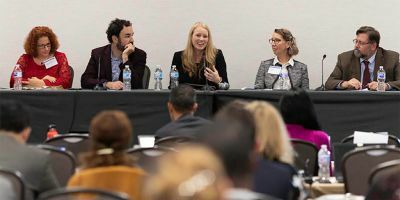 However, there are concerns about data being held by private companies and not being made public – or medical advances not being evenly distributed. That competitive drive would likely spill onto the global stage. Meanwhile, it’s a politically fragmented world; state funding for research has been reduced, and industry and philanthropic organizations have stepped in to fill the gap, investing in challenge-led science. 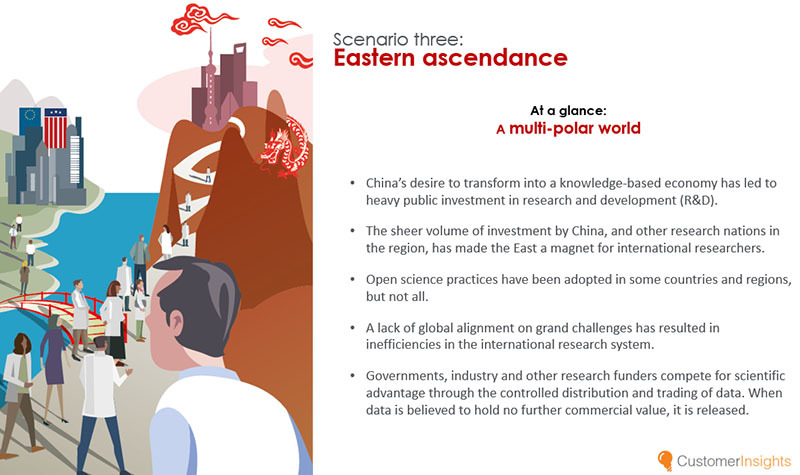 The third scenario – Eastern ascendance – is also a fragmented world, with a sharp division between the United States and China. 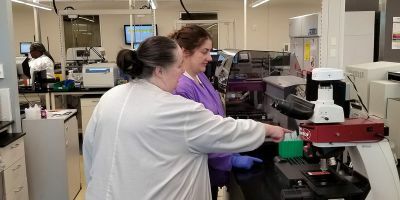 “China has invested massively into research and development, and it’s really paying dividends for them,” Mulligan said. 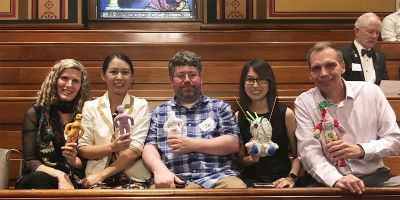 “In the West, we’re unable to keep up with what China is doing, and as a consequence, the sheer volume of that investment is really shaping the way research is being communicated and the advances that are being made. “Actually, the world changes so much that China becomes a magnet for western researchers. So rather than Western researchers going to Oxford or MIT or the top universities in Europe, they’re heading towards China. 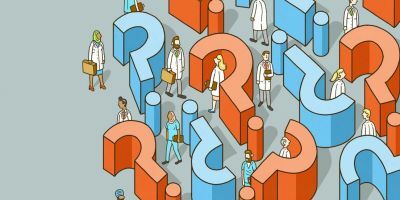 As a result, products like self-driving cars, or developments in personalized medicine, are not universally available. In publishing, the Impact Factor continues to prevail and the subscription model plays a role. Meanwhile, big tech companies form partnerships with publishers to provide AI-enabled workflow and publishing tools. 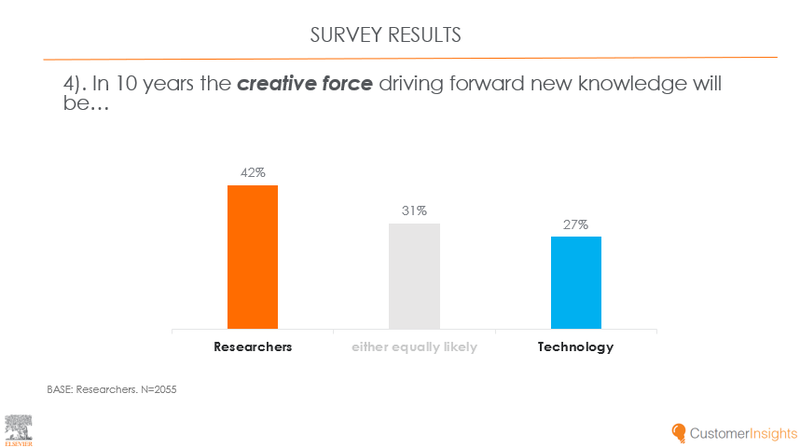 Researchers or technology: which will drive new knowledge? Two panelists challenged the question itself. 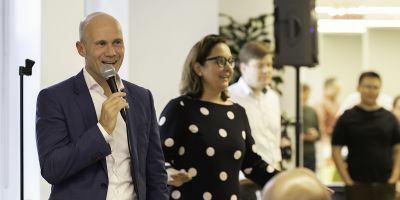 "The real idea underlying this statement is that AI will replace researchers completely, and this will not be the case," said Dr. Peter Tindemans, founding member and Secretary General of EuroScience. As Dan Sarewitz suggests … science is driven by technological development. Until the microscope was invented, you couldn’t look at the cell – etcetera, etcetera, etcetera. … Always new technologies allow new questions to be answered. So by definition, much science is driven ultimately by technological possibilities. Technology by itself doesn’t answer the questions. It’s the researcher. … You have to have the technology – I agree. And technology is as disruptive and as transformational as an aha moment in understanding. But it doesn’t in and of itself solve a problem. Ultimately, the panelists as well as the audience voted more in favor of researchers. Will students actually go to universities? 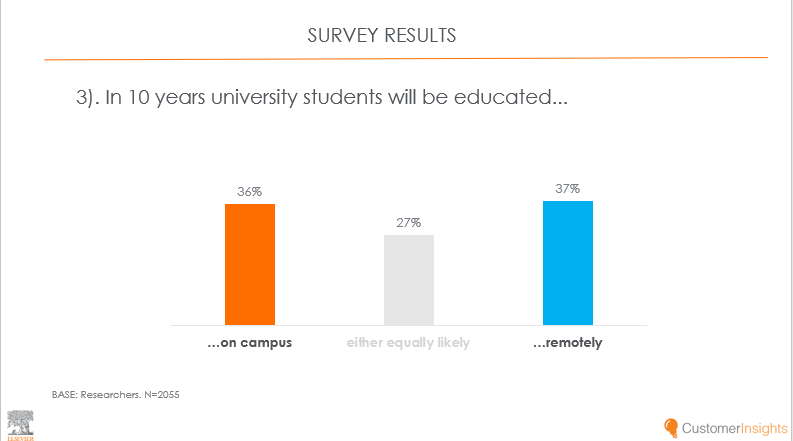 Answer: Mostly on campus – Mostly remotely – Either equally likely. Students go to a university not just to learn something. Secondly, in many areas of study, you need to work together with your professors by doing experiments (and) other things together, and that is very difficult to organize another way. And the third thing is simply the status: a diploma is a link to what university and not just to a collection of exams you have passed online. I would say there’s a context … of elite vs non-elite university and college institutions and education. For the elite, students would be more likely on campus. But for all the rest, which is a much higher percentage, I would think it would be increasingly remotely. Dr. Fenwick pointed out that more elite universities in the US are “making a bet that they can do more distance learning.” As an example, he mentioned a university that bought a large education company, using Elsevier to create their learning platform. Woolley mentioned “competing pressures” that could turn the tide either way: “the move toward interdisciplinary work and team science that really does require (in-person) interaction” versus the fact that “we’re getting much, much better at connecting remotely.” Ultimately, she said, it would depend on what fields people are studying, some of which will still require a presence on campus. 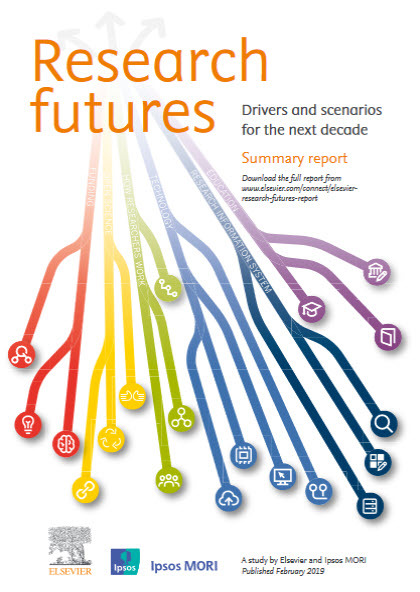 The report Research Futures: drivers and scenarios for the next decade is freely available.